06.13.2013, Uncategorized, by Jack W Perry. The recent NSA spying scandal has had a lot of effects. 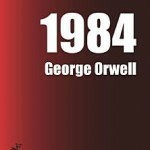 The one to hit the book world has been the explosion of sales on George Orwell’s classic novel 1984. Most every media outlet has a story regarding the bump at Amazon in all formats — the hard cover, the trade paperback, the mass market edition and the eBook. The 64 year old book is in the top 100 at Amazon in three of the four formats. B&N and independent bookstores have also reported the sales spike in their stores. A book that is as relevant today as it was in 1949. I have probably read it 3-4 times. I am currently reading it again. Goodreads has 419 different editions of 1984 on its site. Flavorwire has a great look back at the history of the covers. The biggest seller of these editions is the trade paperback from Plume (a part of Penguin which is part of Bertelsmann). It retails for $16.00 but Amazon sells it for $10.08 (37% off). B&N sells it for $11.76 (26% off). Many prefer a trade edition because it is bigger. The mass market edition from Signet Classics (part of Penguin which is now part of Bertelsmann). Publisher suggested price is $9.99. Amazon sells it for $6.92 and B&N for $9.99. The book is available used for as low as $2.00. 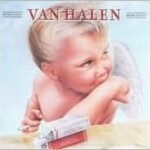 This edition is the one that sells the most in bulk copies to schools. There is also a deluxe, cloth-bound with a ribbon edition from Everyman’s Library (part of Knopf which is part of Bertelsman). It is currently out of stock. The retail is $21.00. B&N sells it for $15.48 and Amazon for $15.58. A wonderful gift edition that looks good on the shelf. I am reading this edition now for I like the smell and feel of the pages. The eBook edition rights are owned by Houghton-Mifflin-Harcourt. 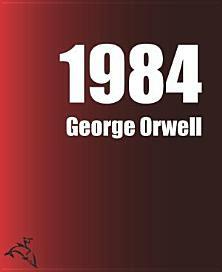 Ironically, in July 2009, Amazon erased editions of the eBook of 1984 from all Kindles. An Orwellian move in the new digital age. A digital publisher called Mobile Reference had illegally sold the editions. 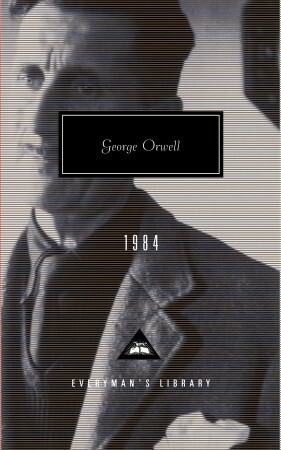 HMH produced an eBook of 1984 after that. Earlier this week, I checked all the retailers and they had a placeholder, ugly cover. Since then, Amazon and B&N Nook have replaced it with a real cover although Apple, Kobo, Google and Sony still have the old placeholder. The prices also were very different, Kindle ($6.57); Nook ($7.12); Kobo and Sony ($9.39); Google and Apple ($9.99) and the publisher suggestion of $12.95.